Children: Rhonda, Keith, Joyce, Clem, Nigel and Evadne. Oh and Clifford. Edith, Esme, Ernie, Eunice, Ethel, Emil, Esther, Eric, Enoc, Elspeth and Fabio. Rhonda married Wayne Squatpump and have children Rodney and Bethany. Keith married Gail Hustler and have children Ainslie, Desley, Leanne and Leigh. Clem married Lola Escobar and have children Juan Diego and Guadalupe. Nigel remains unmarried but lives with his flatmate Norma Stick and their pet pugs Madonna and George Michael. 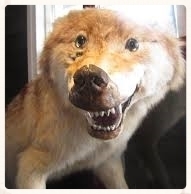 The family dog Bimbo after Ethel took up taxidermy.